i always love the season of advent. 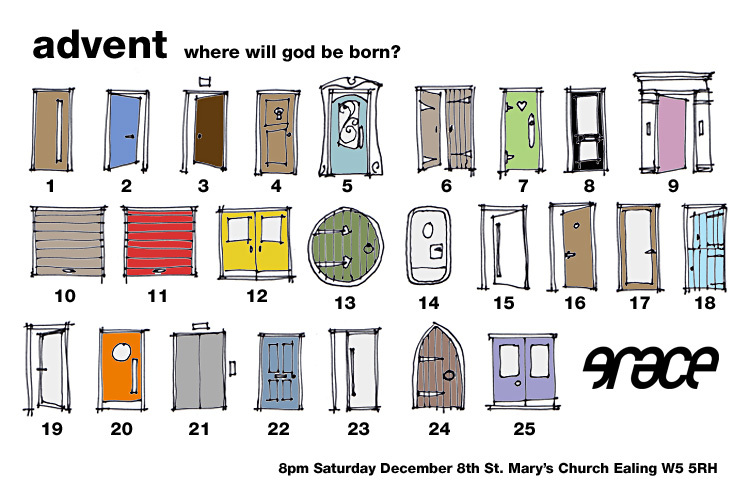 love this flyer from steve for our grace advent service this year which will consist of a series of reflections, prayers, meditations, songs brought by whoever comes. if you plan to come do bring something to share in that way. it will all be followed by mulled wine and stollen. and i am not sure i should confess to this but if you look on the grace web site there is a link to a video from 1996 of grace on channel 4 which we dug out for the 25th celebration - it is fairly amusing/embarrassing!